Free lance architect, he is active in broad archicultural field: planning, building, leading workshops, lecturing, researching, writing. He is docent at the Faculty for architecture in Ljubljana. He leads the architect’s section at the Chamber of architecture and space of Slovenia (ZAPS). With N. Pavlin they lead their office Atelje Ostan Pavlin. He is author of diverse texts (Ethical insights in arts, 2001; The messages of space, 2008; Urgency for new urban policy, 2008; Architectural history, 2013) and he received different (inter)national awards. Keywords: Slovenia, history, tradition, modern architecture, contemporary architecture, settlements. The european Alpine “stone arch” has its own natural and cultural identity. It represents “proto-architecture” that offers artistic inspiration, formal references, therapeutic effects. Slovenia and its Alps are small (like a fractal pattern of the big ones), but diverse in their landscapes, settlement culture and architectural traditions. Historically we were always part of Middle European cultural context (between the Alps, Mediteranean and Pannonian plains). Mostly part of bigger states, their culture reflected in built environment and architecture: from regulated order of the monarchy, the transition to modernity between WWI and WWII, “self-made” modernism of socialism, global capitalism free market trends after independance. The result is manifested in dispersed “urban sprawl” territories, a theme of “healing process” for younger urban planning and architectural generations to face with. Luckily less in the Alps with their strong traditions and topographies, where many compact historic settlements still witness their original urban matryx, (medieval) “spatial language” with its organic logic and very precise urban wisdom. Some extraordinary designers in Slovenia helped to create high level of architecture culture in XXth century (also in the alpine space): besides two great personalities, Maks Fabiani and Jože Plečnik, the latter started – together with Juan Vurnik – with “Ljubljana school of architecture”, there was also his follower Edvard Ravnikar (who worked also at Le Corbusier’s), who continued with the architecture. school and raised many good, modern architects. After the independence (1991) the younger generation reflects global trends, but also continues with architecture of high quality, found in some beautifull, diverse projects in the Alps. 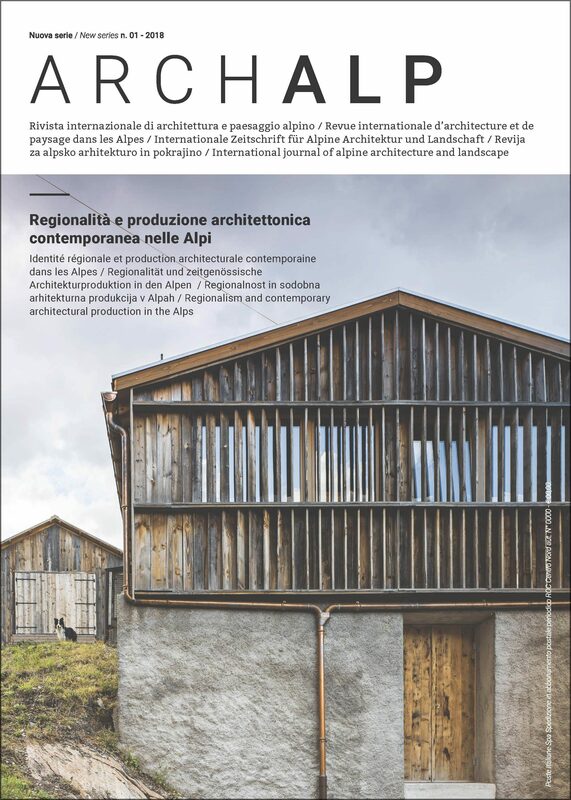 Today our alpine communites care more for their urban heritage and renew it, reurbanise their squares, streets and parks and support models of sustainable development, in which high level of building culture is an essential part of.